Galvanized and colored steel sheets are made by cutting rolls in proper sizes. Galvanized cover is from 100 to 130 gram, and paint cover up to 50 micron. Galvanized and colored steel sheets are mostly used in modern construction industry. It is used for roof, cutter, air fresher and ventilation. In some cases it is used for covering exterior and interior. 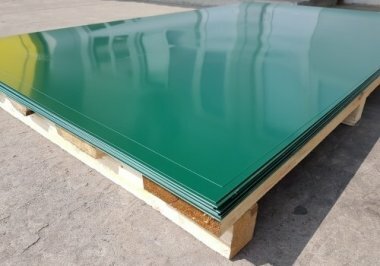 You can purchase 1000mm, 1200mm, 1250mm width galvanized and colored steel sheets as standard length as cut in any size.